World Car-Free Day takes place on the 22nd September and seeks to promote cycling and walking as alternative forms of active and sustainable travel for destinations which are closer to home. There have been several recent stories in the media about air pollution reaching dangerously high levels for children in schools and settings close to busy roadsides. Last month, London Mayor Sadiq Khan announced a new £1m fund to help protect children at schools and nurseries in the most polluted parts of London from toxic air. Detailed air quality audits have been carried out in 50 schools in London boroughs which will each receive £10,000 to help them make changes to cut pollution. .
Last year, Greenpeace published the shocking results of an investigation which found that over 1,000 nurseries in England were located within 150m of roads which are breaking the legal limits for air pollution. The environment charity were looking at the EU legal limit for nitrogen oxide pollution. This gas is released into the air from car exhausts or during the burning of substances like diesel, coal and natural gas. The study found that the most heavily affected areas of the country were Birmingham, Sandwell, Nottingham, Plymouth, Manchester, Leicester, Hampshire, Leeds, Wolverhampton and Salford. An alarming 760 of the 1,015 nurseries cited in Greenpeace’s report were in London. 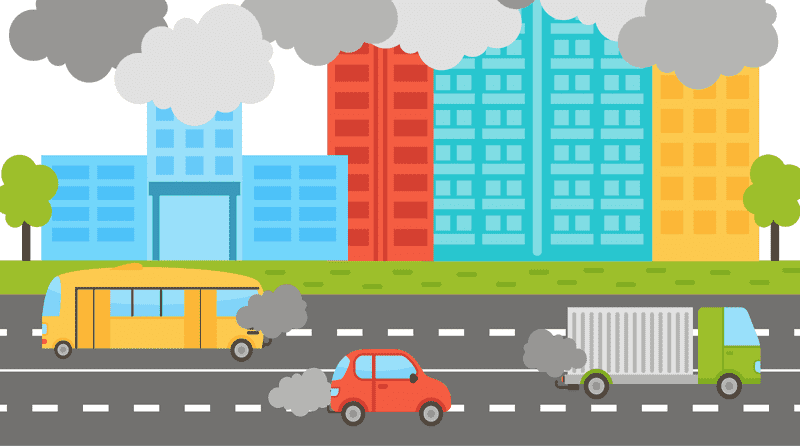 Exposure to traffic fumes is associated with stunted lung development in young children, according to Chris Griffiths, co-director of the Asthma UK Centre for Applied Research. The British Lung Foundation warns that children who breathe high levels of air pollution over a long period are at risk of developing asthma or aggravating a pre-existing condition. They are also susceptible to wheezing, coughs, and even serious infections like pneumonia.